Creative and elegant fireplace idea for the modern home that comes with a white body to blend with all kinds of light and white interior themes. 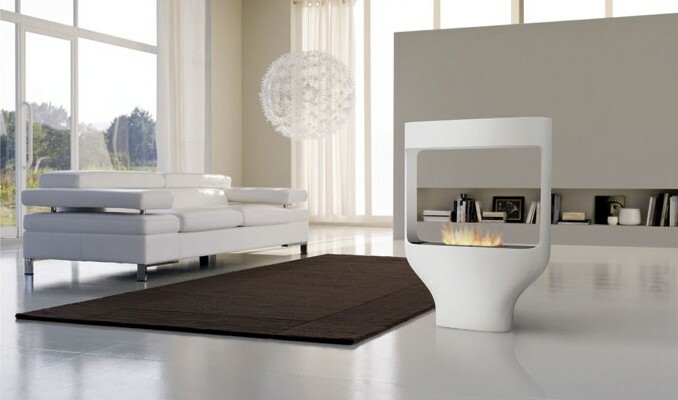 This stylish fireplace works best for the modern living room where light colored interior ideas rule. The design features the entire body of the model in white, which is easy to the eyes for the rest of the interior design that comes in a similar light finish. Ideal for large spaces, this fireplace is a sharp contrast and works amazingly well as it can be placed almost anywhere. Classy, charming and refined in every respect!